Allan has specialised in immigration and asylum law since becoming a barrister in 2001 and he has an unusually broad practice. He is a trustee of the UK Lesbian and Gay Immigration Group and has a particular specialisation in representing LGBTQ clients in need of international protection and has written for the Birkbeck Law Review on LGBT asylum and procedure. 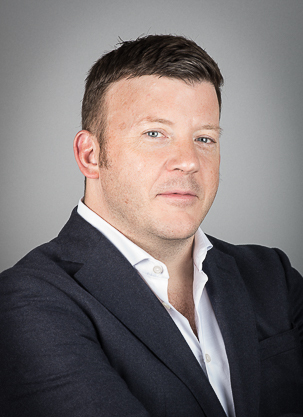 After 14 years as a barrister Allan became a partner in Blake Morgan LLP, where he headed up the firm’s immigration team, before returning to the Bar in 2016. His time at the Blake Morgan gave him a deep understanding of commerciality and issues such as ‘right to work’ and the Point Based System, in particular Tier 1 (Entrepreneur and Investor) and Tier 2. He has lengthy experience of defending against ‘Civil Penalties’ imposed for allegedly employing illegal workers and has had considerable success. Allan has many times acted as an immigration expert in family law proceedings. In addition to immigration and asylum law, Allan is able to advise on modern slavery and trafficking issues, in particular to organisations that wish to ensure there is no modern slavery or human trafficking in their supply chains. Allan has advised many organisations on their responsibility to prepare an annual ‘transparency statement’ under the Modern Slavery Act, including: a major European airline, housing associations, an international charity, a US software giant, and a department store chain, to name a few examples. Allan is a founding member of TELI (Trans Equality Legal Initiative) which aims to challenge trans and non-binary inequality by litigation.